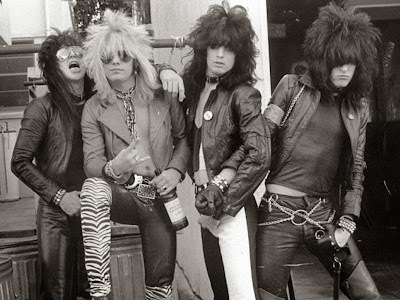 The Motley Crue biopic, “The Dirt” – based on the band’s 2001 autobiography of the same name – has landed a new production deal with Focus Features after years of planning under Paramount Pictures. According to The Hollywood Reporter, the project still sees director Jeff Tremaine (the Jackass movies) on board with a screenplay written by Rich Wilkes and Tom Kapinos. Tremaine’s last project - 2013’s Jackass Presents: Bad Grandpa – grossed over $102 million in the States alone. Motley Crue will act as co-producers on the film alongside Amanda Adelson. A search for actors will begin shortly. The group, meanwhile, will resume their farewell tour next month with a 5-date Japanese tour.